With their highly anticipated second album Echoes in Blue due for release on Friday 6th April, Melbourne four-piece City Calm Down today announce they’re set to undertake their biggest Australian shows to date in June 2018. 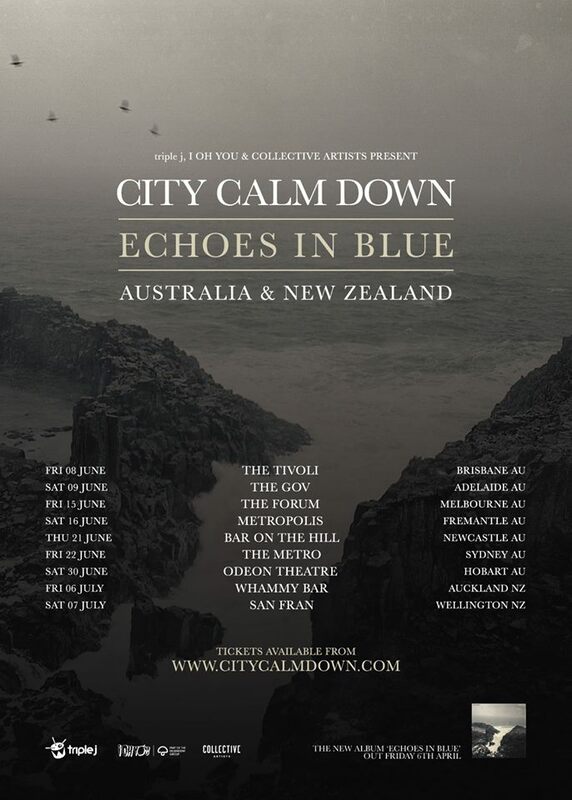 The Echoes in Blue Tour will see City Calm Down hit the road for seven massive shows - all before they venture across the seas to perform two special headline dates in New Zealand, their first time in the country. City Calm Down is one of the most dynamic bands currently making music in Australia. Ten years after forming, with a new album up their sleeve and over six million streams on Spotify, plus a decade of touring behind them - including multiple sold-out headline tours and major Australian festivals (Laneway, Splendour In The Grass, Falls, etc.) - City Calm Down have forged a reputation as a fierce live act not to be missed. April’s long-awaited release of Echoes in Blue follows the band’s acclaimed 2015 debut album, In A Restless House, and sees City Calm Down - Jack Bourke, Sam Mullaly, Lee Armstrong and Jeremy Sonnenberg - reuniting with In A Restless House producer Malcolm Besley. 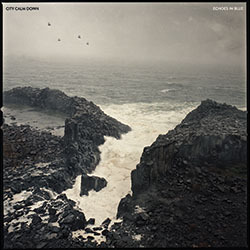 On the astonishing new record, their accomplished songwriting takes an unprecedented step forward; Echoes in Blue is the sound of a band staking their claim. Tickets on sale 12:30pm Thursday 1st March from City Calm Down.